The restaurant’s CEO says the matter is being investigated and the victim will be given counselling. 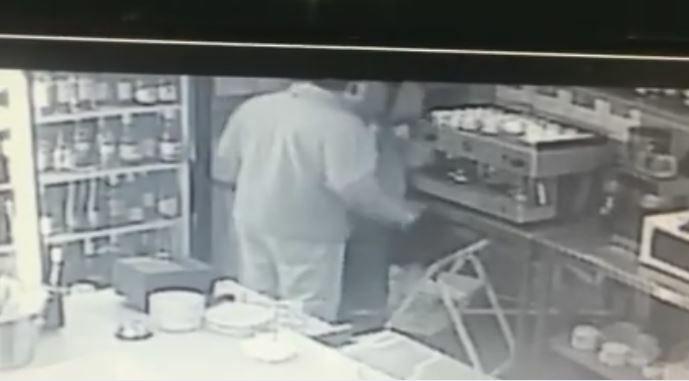 Video footage has emerged of a man, apparently a manager, assaulting a junior employee at the Ocean Basket Lakefield in Benoni. In the video, a white man slaps a black employee several times in the face as he tries to get away from him. The victim moves away from the attacker, who follows him to a corner, slapping him again and using his knee while at it. The video has been trending on social media, with most “disgusted” with the attacker’s behaviour and calling for his head. Grace Harding, CEO of Ocean Basket, has commented on the video that has gone viral and said: “My name is Grace Harding. I am the CEO of Ocean Basket. I am deeply saddened and shocked at the content of the footage in this video. We have made contact with the people in the footage, and together with our legal counsel, this matter is under urgent investigation. “I must reiterate that we absolutely condemn this kind of behaviour, and once we have all the information we need, appropriate action will be taken. We will also ensure that we provide relevant counselling to anyone of our crew members who may have been affected.